On April 16, 1862, President Abraham Lincoln signed a bill ending slavery in the District of Columbia. African Americans in the District greeted emancipation with great jubilation and continue to celebrate Emancipation Day with parades and festivals. The original first and signature pages will be on display. 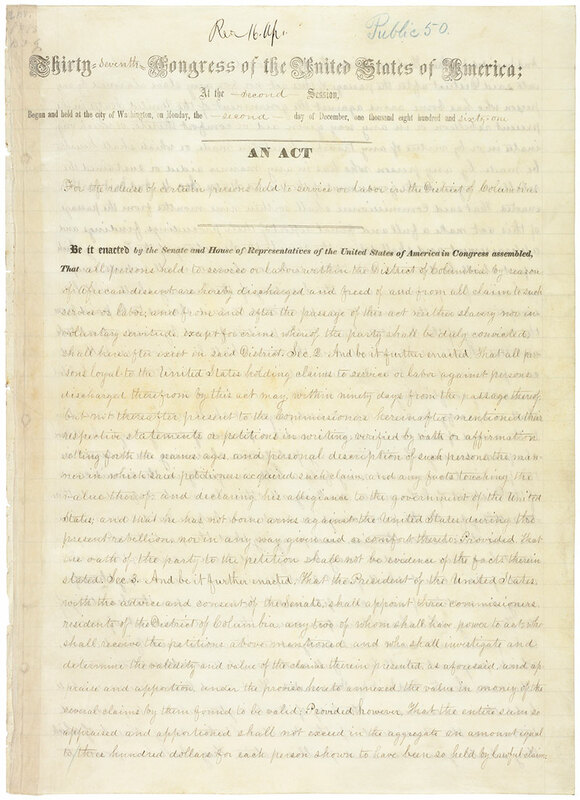 An Act of April 16, 1862 [For the Release of Certain Persons Held to Service or Labor in the District of Columbia] (DC Emancipation Act), National Archives, General Records of the United States Government.